You’re only as old as you feel, right? We think it’s important to feel confident and youthful. Unfortunately, your skin tends to agree more with your age than your spirited personality. Luckily, there’s an easy fix to that: a Botox injection. But, don’t be fooled. Botox injections may seem quick and easy, but it’s important to receive the filler from a professional medical center that has trained injectors. Receiving Botox injections is a medical procedure, so it needs to be performed by a medical professional. Do your research to ensure you are meeting with a board certified and trained professional. A trained professional will be able to confidently reveal the substances they are injecting as well as the risks and benefits of the treatment. Those who are certified to administer Botox injections have had specialized training and have received certification from formal instruction and intensive hands-on training. Weekend training sessions and online courses are now available to certify several types of physicians to perform Botox. However, patients often leave feeling dissatisfied. At The Graivier Center, our injectors are extensively trained and have years of experience with the finer points of injecting Botox. Our injectors know how to give you the look you want in the safest manner. Another reason you may see cheaper Botox is because it has been diluted. 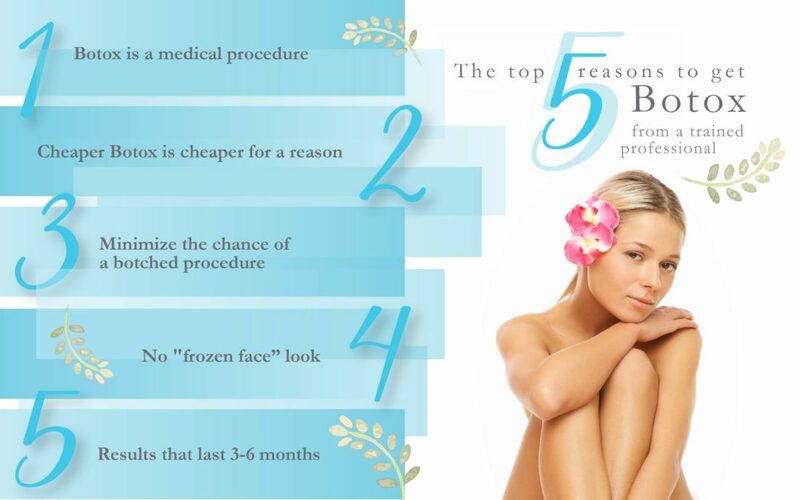 Again, it’s important for potential patients to do their research before saying yes to an inexpensive Botox treatment. While Botox is a relatively safe procedure, complications can arise if not administered by a trained professional. If Botox is injected into the wrong muscles or the injection leaks into unintended areas, it can cause damage to those areas. For example, if Botox is incorrectly administered near the eye to treat crow’s feet, it can seep into the eye muscles and cause double vision. Other problems that could arise are Ptosis (eyelid droop), collapsing eyebrows or problems opening your mouth. To minimize the chance of a botched procedure, your doctor should have advanced knowledge of facial anatomy, specialized training and extensive experience in administering Botox. We believe Botox is a phenomenal treatment that will help you look your best and feel confident in yourself. However, doing your research to find a certified professional to perform the treatment is crucial. The Graivier Center’s injectors are extensively trained and certified, and work in tandem with Dr. Graivier, who is a world-recognized leader in the use of injectables and fillers. Schedule your Botox appointment today!